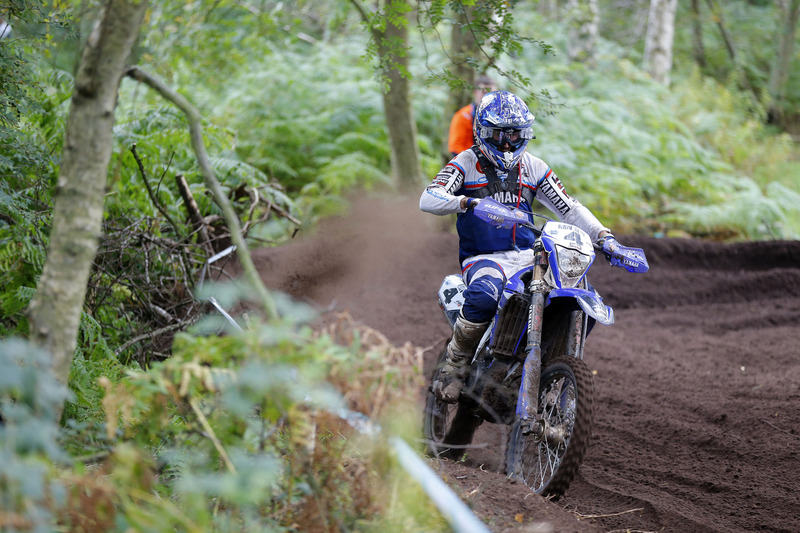 Battling through a challenging penultimate round of the FIM EnduroGP World Championship in the United Kingdom, Outsiders Yamaha Official Enduro Team’s Loïc Larrieu earned his seventh podium result for the season on the second day of racing at the EnduroGP of Great Britain. The series’ return to the United Kingdom for the first time since 2008 saw the implementation of a new race format at the British GP. Featuring a sprint enduro event on day one, Loïc and the rest of the field then contested a three-hour-long cross-country event on Sunday. Posting top three times in seven out of the 12 special tests contested on day one, the WR450F mounted rider rounded out the first day of racing on British soil with the fastest time in the last motocross test. Claiming fourth in the EnduroGP class, Loïc was just one second behind a provisional top three result. Determined to use his motocross background to his advantage on day two, the Frenchman suffered one too many mistakes that prevented him to battling for the EnduroGP class victory on Sunday. Crossing the finish line less than a minute behind the day’s winner, Loïc secured a strong third place result. One of the most consistent riders in the 2017 EnduroGP World Championship, Larrieu remains second in the provisional EnduroGP class’ points standings. Loïc Larrieu and the Outsiders Yamaha Official Enduro Team will return to action in Zschopau, Germany for the final round of the 2017 EnduroGP World Championship on October 20/22.